Learn more about studying and practicing Buddha's guidelines for monastics with these Vinaya resources. In November 2017, Sravasti Abbey published six new Vinaya booklets. According to the Buddha’s Vinaya, only Buddhist monastics and candidates for Buddhist monastic ordination may read these texts. Enjoy these Vinaya resources! 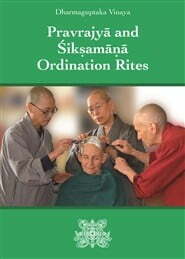 To contribute to the flourishing of the monastic community and the Dharma in the West, Venerable Chodron has edited numerous books on the Vinaya and what it means to ordain and live as a monastic in community. Please note that some of these texts may only be read by those who are ordained as Buddhist monastics. 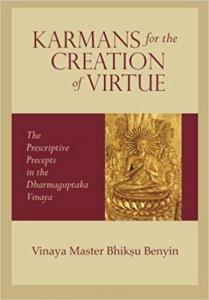 For a full list of Vinaya books published by Sravasti Abbey, visit http://thubtenchodron.org/books/vinaya-books. Anyone—lay or ordained—may read this book.